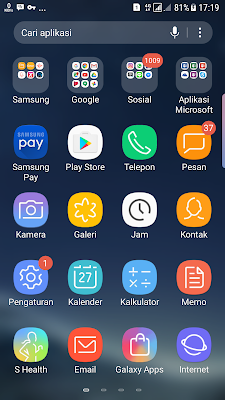 Tutorial How To Change The Display Of The Android Theme Being Like Samsung Galaxy S8 / S8 + Complete - You want to have a samsung S8 but have not got the cost? Take it easy, you can still have the S8 display on your smartphone right now. On this occasion I will share how to change change your Android Theme View Be Like Samsung Galaxy S8 / S8 + Complete with screenshot. Preview the results so that more sure to try it. beautiful is not it? already like S8? if you can not wait, let's practice. 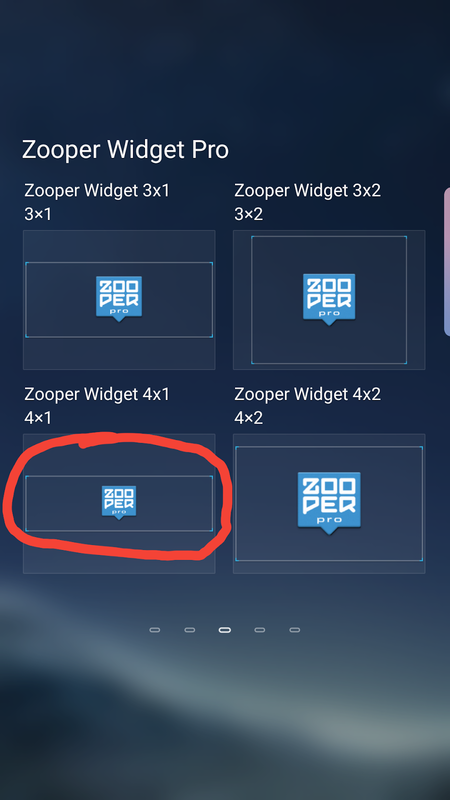 This is a template from the gan widget, it can not be installed, but it is imported into the Zooper Widget Pro Application. Download first the material. 2. Well for the Google Search widget, there are 2 versions that have different look, you can choose one which is preferred. 1. After all materials have been prepared, the first step we install as usual Theme Galaxy S8 and install Icon Pack Galaxy S8. 2. Next we install Package_Disabler_pro_V.7.4. 3. the next step we apply theme and icon pack galaxy s8. how to pinch your Samsung main screen so that the display appears as shown below. click on the button I gave the red mark. 4. Select on the Themes tab, then click View All. 5. You just select the theme s8 already installed earlier. then click the Free Trial button. Wait until the process is complete. 6. Theme Galaxy S8 has been successfully applied, only the wallpaper is still black and the Icon is less interesting. You can use the Wallpaper that has been downloaded earlier to beautify the view. 7. Next we will install Icon Pack Galaxy S8. the steps are the same as applying the theme above, it's just we choose on the Icon tab, as shown in the picture below. 8. Select the Free Trial button to apply the Icon Pack S8. then wait until the process is complete. 9. At this step, we have successfully applied Theme S8 and Icon Pack S8, only this is still free version / trial and will return as before in 5 Minutes. 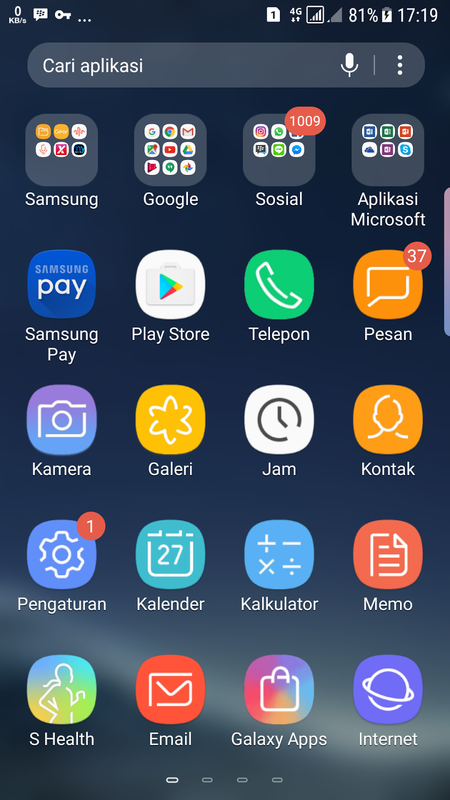 To overcome this, we can use Package Disabler Pro 7.4 to block the default Application Samsung Theme so we can use this theme longer. This is special for Non Rooted users, if your Hp is Rooted, can be done. 10. First open the Disabler Pro Package application that has been installed before, will be served to enable the Admin command on Package Disabler Pro, Check it gan. 12. Wait until the installation is complete. 13. Open the Package Disabler app, go find the Samsung Theme, and Themes. To make it easier, please just type "Theme" in the search box, as shown in the picture below. But remember, you should already apply the Theme and Icon S8 first before disabling the Samsung Theme and Themes app. 14. Click 2 Times on Samsung Themes and Themes. then click Clear data on both applications. Remember, this step should not forget yes. 15. The process of installing the theme and icon pack is complete, then the installation process Widget. 16. Install Zooper Widget Pro that has been downloaded earlier. 17. Move all the downloaded Templates and Google Search templates into the internal memory folder> ZooperWidget> Templates. 18. Prepare a vacant lot on your homescreen wkwk. First we will add the S8 Weather Widget. 20. Then will appear the process of Loading gan, just wait about 1-2menit until the paper appears resize or tap to start. Click on that section yes. 21. select "Sdcard" to display the template that has been imported before gan. Note: do not worry that do not have external memory. Sdcard here means internal memory gan. 22. Well now you just select the template I created gan. 23. To change the location, please click on location gan button. 24. Next, change the scale to 100 to fit the size of our screen, you can adjust it yourself yes. 25. 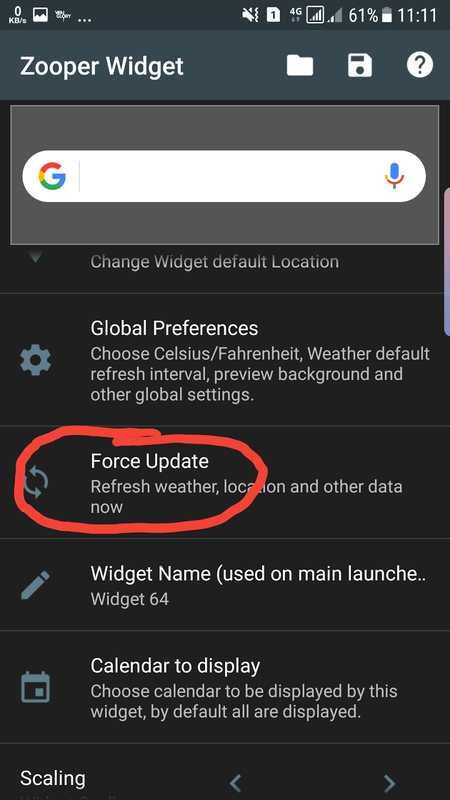 When finished setting, click "Force Update" button to refresh the settings. do not forget this step! 27. Then will appear the process of Loading gan, just wait about 1-2menit until it appears the writing resize or tap to start. Click on that section yes. 28. select "Sdcard" to display the template that has been imported earlier gan. 29. Choose a google search template that you like. Choose one yes. 30. If you have selected the template earlier. 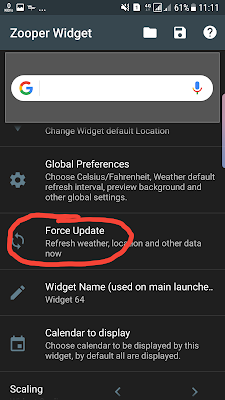 Now click the "Force Update" button to refresh the settings. do not forget this step! Well that's a tutorial to change the look of your Smartphone to be like Galaxy S8. if you have any questions, please leave a comment below. Finally I say thank you and good luck.